In the famous words of Gordon Ramsay, “being a chef never seems like a job, it becomes a true passion”. We couldn’t agree more. At our family-run chef school, we believe in sharing our passions, which is why we invite the best of the best to lead culinary classes with our students. Our guest lecturers are experts in their fields, not only because they’ve honed their craft, but because they love what they do as much as our students love food and cooking. Are you ready to get acquainted with a few of our favourite speciality lecturers? Keep reading. They’re all listed below. We have to start this list with our much-loved Cake Decorating lecturer, Di Edgecumbe. A respected player in her field, she has been hosting culinary classes at our school since day one. Her amazing sugarcraft has won multiple awards at local and global cake decorating expos. She has even conducted demonstrations at Cake International (the largest cake decorating exhibition in the world) in Birmingham, UK – by invitation! It’s a privilege for our students to watch Di in action. 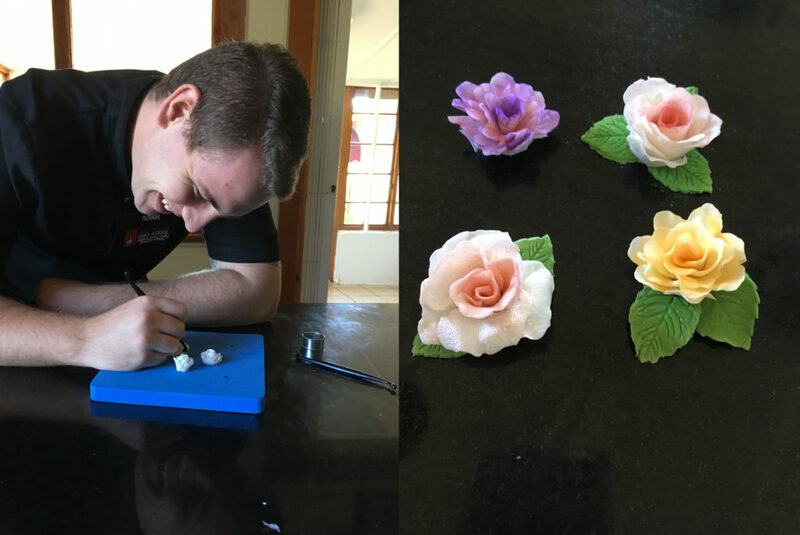 A botanist and zoologist by training, Di developed a love for creating plants and creatures out of sugar. Her scientist’s eye lends to detailed and accurate creations. They are breathtaking. She has produced exquisite masterpieces, including countless wedding cakes adorned with delicate sugar-paste flowers, a life-size aloe, and our students’ favourite – the mouse house. Every week, Di takes our learners through practical lessons on decorating cakes and cupcakes. They learn a variety of styles, from a range of classic skills to exploring new trends, like buttercream succulents. Chef Watchara Sirvajanakul, affectionately known as Chef Roger, was the first chef to bring sushi to Durban, about thirty years ago. Trained in the traditional Japanese and Thai cooking styles, he’s a master of his craft. We’ve had the pleasure of hosting Chef Roger at 1000 Hills Chef School since 2005 – the same year he opened his first Green Mango restaurant in Durban. 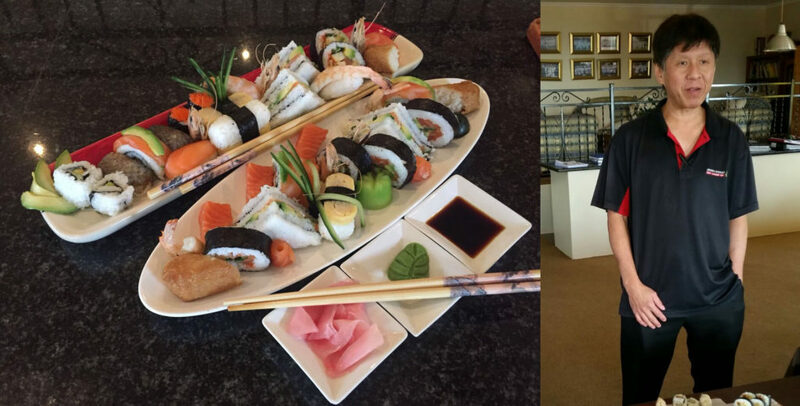 His culinary classes teach our students the art of making sushi – a thrilling experience. During their first year, our students enjoy an inspiring short course with Chef Roger. At the end of the course, they break into teams to create a platter featuring all the skills they’ve learnt for a final assessment. The cherry on top? The winning team enjoys a meal at Green Mango prepared by Chef Roger himself – a real sharing or passions. During their first year, our students receive an introduction to working with wine as part of the Food and Beverage Services Diploma. But the real fun happens during second year. Students progress to more specialised knowledge of wine pairings with the World Spirit Education Trust Certificate. Running the course is Laurie Smorthwaite, winemaker at Abingdon Wine Estate and founder of the KZN School of Wine. An accomplished young wine connoisseur, she’s an inspiring role-model for our students. During her studies, Laurie received the prestigious Codorniu Raventos scholarship for achieving the top mark globally in the sparkling wine diploma exam. She also graduated with distinction from the Michael Fridjhon Wine Judging Academy. Laurie has served as a judge for the SAA wines selection panel and Old Mutual Trophy Wine Show. Laurie hosts the class at Abingdon Wine Estate, a real treat for the second years. Our students get to explore the working wine farm before taking on the task of tasting. This valuable skill helps them to advise diners on food and wine pairing. It’s also a useful tool in developing their own menus with a view to creating a complete dining experience. Specialist skills are a highlight of the second year at 1000 Hills Chef School. Along with wine pairings, our students learn the subtle art of artisanal coffee. Running these specialist classes is none other than Craig Charity, African Barista Champion and founder of Lineage Coffee. Craig’s intensive course starts with a trip to a working coffee farm. Here, our students follow the whole journey, from bean to cup. They learn how the soil, sun, roast and grind all impact on the flavour, carefully crafted through the all-important skills of the barista. By the end of the course, they’ll be able to create the perfect espresso, cappuccino and every other speciality coffee. Last, but not least, we must include the culinary classes of our very own MD, Trevor Maarschalk. While not strictly a guest, Trevor takes time out from his ‘day job’ running the school to share his love of craft brewing with our second years. Working with brewers from craft and commercial breweries, he teaches the students the process of brewing. The students team up to work on their own brews using a micro-brewing kit. If they nail the flavours, tried and tested recipes might even make their way into our Rebel Brew. We’re proud to be the only private institution invited to participate in the AB-InBev Intervarsity Brewing Competition. 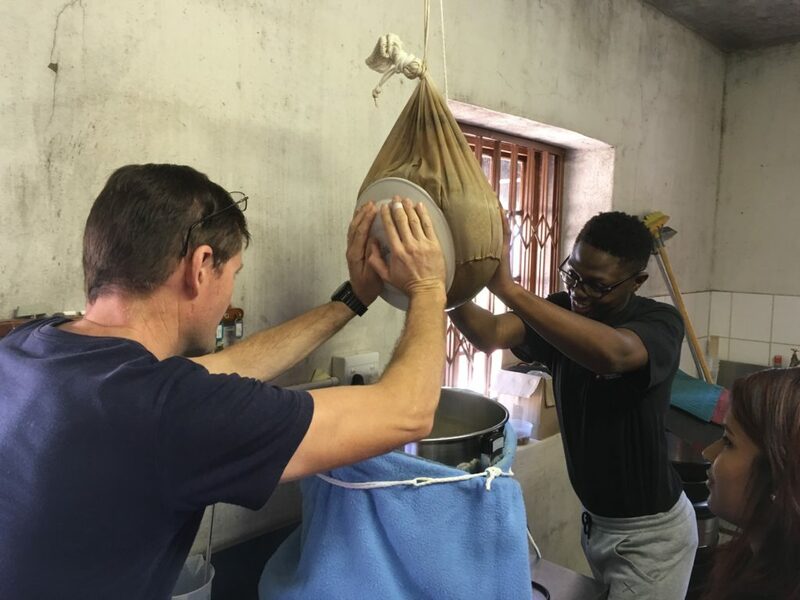 Trevor leads our team of student chef brewers, who compete against engineering and microbiology students and graduates from South Africa’s top universities. Trevor’s not shy to share his vast experience in a leading multi-national company with the students, either. He’s developed a business training programme for our Advanced Diploma learners. The programme allows them to take on the role of Business Manager in our on-site “Yes Chef” Deli. The role includes all the standard tasks of a business manager. It covers everything from health and safety compliance to staff performance and planning, to analysing sales, profit and loss for the week. He meets with each student to review their performance and guide their development. Do you dream of becoming a top chef? Enjoy culinary classes with the best when you study with us. Next year’s registration is open – enrol today.